Zing 3 is a light and refreshing blend that combines the sweetness of pineapple with a subtle hint of ginger to give this juice an exciting ‘zing’ that sets it apart. Zing 3 provides an effective combination to sooth the digestive system and also aid the natural anti-­-inflammatory processes within the body. Ginger and mint together calm an upset stomach, and also help to soothe an irritated gut. 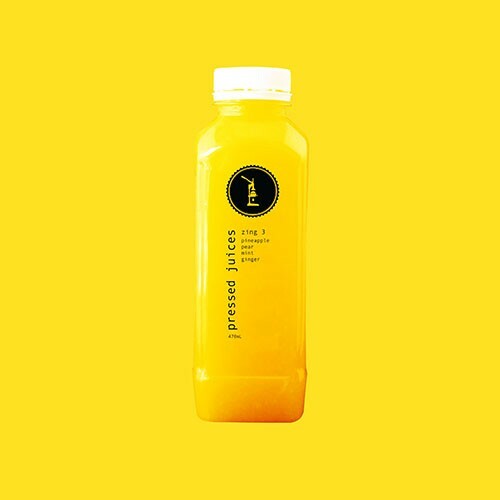 Pineapple is a great source of digestive enzymes to help kick start the digestion and the addition of pear means that this juice is a potent hypoallergenic, digestive soothing powerhouse. Try sipping on a Zing 3 in the afternoon for a pick me up instead of caffeine!